No one experiences the success of leadership without also knowing pain. It’s up to each individual leader if they will press through the pain and grow as a leader, or quit leading. You’ll grow only to the threshold of your pain. 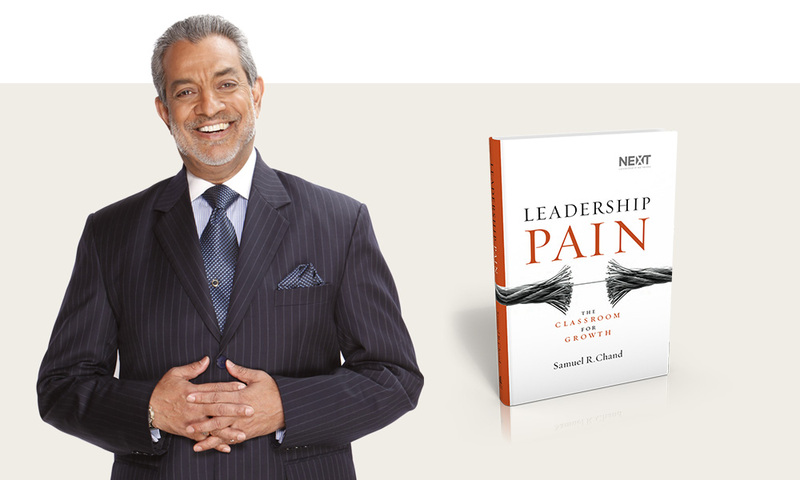 This is the central theme of Dr. Sam Chand’s new book, Leadership Pain. Dr. Chand was our guest speaker on Monday for a leadership development training session with 12Stone staff. Dr. Chand has served as a pastor, is the former President of Beulah Heights Bible College, the author of 13 books, Change Strategist and Leadership Consultant. My post today gives you a sneak peek into the insights Sam shared with us, along with many quotes from him. There are many different kinds of pain leaders experience. Here are a few examples. Can you relate? What others can you name? The pain of being misunderstood. You can do everything right and be completely misunderstood. The pain of people leaving your church. The people you help the most are often the first to complain and leave. The pain of a staff member leaving and taking others with them. You chose them, hired them, paid them, encouraged them, trained them, and they leave without honor. The pain of deep disappointment. Your ministry isn’t turning out like you thought or hoped. The pain of carrying others pain. You can only carry so much yourself, you need someone who can walk the leadership journey with you. Can you handle it when you’ve been there for everyone else, and there is no one there for you? Pain isn’t a popular topic, but we are wise to embrace its reality. It’s part of life and leadership. If we fail to see pain as only an unwelcome intruder, we’ll fail to ask the right questions, and our heartache will be wasted. Comfort is overrated. It doesn’t lead to happiness. It makes us lazy – and forgetful. It often leads to self-absorption, boredom, and discontent. Discomfort can be a catalyst for growth. It makes us yearn for something more. It forces us to change, stretch, and adapt. 1) See pain as your greatest teacher. Don’t avoid it. Don’t minimize it. And don’t numb yourself to it. Pain never just goes away. When it’s not resolved, it sinks deep into our minds, creates anxiety in our hearts, causes resentment and creates tension in our relationships. Instead ask God what He has in store and how you can learn and grow through it. 2) Let your vision drive you. Keep the vision fresh and strong. Don’t let your mind be consumed by your immediate pain and obvious limitations. When you interpret your pain as bigger – more important, more threatening, more comprehensive – than your vision, you’ll redefine your vision down to the threshold of your pain. 3) Have a rigorous personal development plan. If you have a plan to grow, you’ll incorporate the difficulties, challenges and trials life brings your way to a stronger more capable and more resilient leadership self.